Some may not be too vocal about their beliefs, but faith is a driving force for a many professional athletes. A lot of players are seen with cross necklaces or a bible verse tattoo on their arm, but Judaism is not always as advertised through sports media. Jewish athletes span a variety of professional sports and collegiate sports, including WNBA star Sue Bird and former Olympic swimmer Mark Spitz. At this university, two soccer players gave their opinions on who is the best Jewish athlete of all time. Aaron Franco, a junior finance major and defender on the soccer team, said it has to be Sandy Koufax. Franco said that what stood out to him was Koufax’s famous decision to not pitch during a World Series game because the game fell on Yom Kippur. “The fact that he valued religion over sport is very commendable and I think that speaks a lot about him as a player and a person,” Franco said. 1962 Bell Brand Dodgers #32 Sandy Koufax. Via Wikimedia Commons. The Los Angeles Dodgers dropped Game 1 of the 1965 World Series to the Minnesota Twins by a score of 8-2, according to Baseball Reference. Koufax was not in attendance. This was momentous at the time, as Koufax was in the middle of the most dominant years of his career. In the 1965 season, Koufax went 26-8 with a 2.04 ERA, including 10 strikeout performances in Game 5 and 7 in that series, according to Sports Illustrated. The sports magazine named Koufax its Sportsman of the Year in 1965, and he graced the cover of Sports Illustrated on Dec. 20. On the other hand, senior and midfielder Jake Rozhansky, criminal justice major, stuck to his own sport. Benayoun, an Israeli professional soccer player, spent time in the Premier League with West Ham United, Chelsea, Arsenal, and Liverpool. He now plays for Beitar Jerusalem in the Ligat ha’Al in Israel, according to Transfer Markt. Rozhansky said that he really looked up to Benayoun and watched him all the time growing up. Andrew Pitkoff, sophomore finance and information systems major, agreed with Franco, and said Koufax is the best. “He was an amazing pitcher, and was very vocal about how Judaism was important to him,” Pitkoff said. 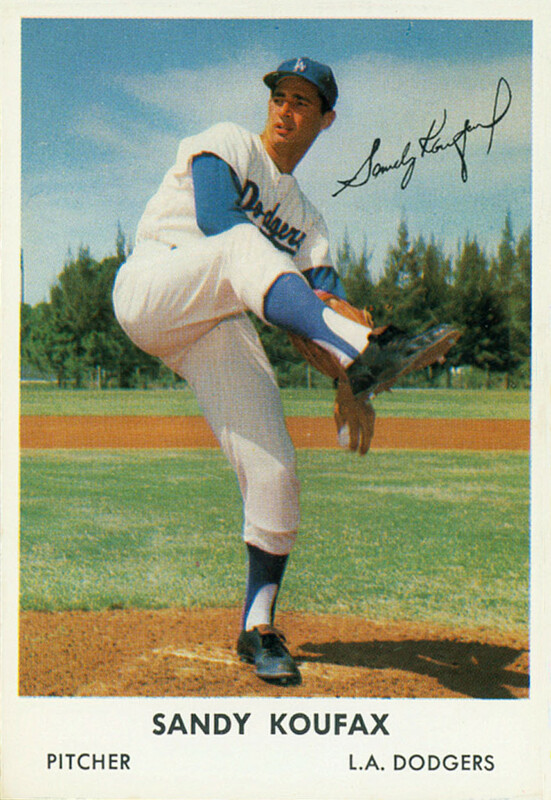 There haven’t been too many Jewish professional athletes that have made statements about their religion and overpowered their opponents quite like Sandy Koufax, so there is no surprise that he made an impression on fans. No Replies to "Students discuss their picks for best Jewish athlete"